Thousands of Lebanese 'disappeared' during the civil war. Will there be justice? Few efforts have been made to bring these forced disappearances to light. Aug. 30 marks the International Day of the Victims of Enforced Disappearances, and every year on this day, the world commemorates the millions who have gone missing. Lebanon has its share as its 15-year civil war, which tore the country apart, left many families searching and mourning for their loved ones. The fate of those who&apos;ve disappeared during that time remains unknown. Approximately 17,000* Lebanese were kidnapped or "disappeared" during the country&apos;s civil war - 1975 to 1990. Today marks "another year in which the government has failed to advance justice and accountability for the thousands who forcibly disappeared during the country&apos;s long and bloody civil war," Human Rights Watch wrote in a call for change. *The number of “17,000 missing” has become conventionally accepted, but a cross-referencing of the lists establishes the number of 2,312 missing individuals, according to CLDH. Few efforts have been made to bring these forced disappearances to light. Fushat Amal, a website dedicated to telling the stories of these people, is one example. However, there have been no significant investigations launched to uncover the fate of those who went missing. A draft law has been proposed by The Committee of the Families of the Kidnapped and Disappeared in Lebanon alongside non-governmental groups. It aims to create a national commission to investigate what happened to the disappeared. The Lebanese Parliament has not passed the legislation. Human Rights Watch has taken on the, documenting several accounts of military detention in which families were not able to locate detainees. HRW also "documented accounts of Syrians who disappeared in Lebanese custody in 2014 and are feared to have been deported to Syria, where they may face torture and death." In 2014, Lebanon&apos;s State Council ruled that relatives of those missing have the "right to know what happened to their missing family members." The judicial institution ordered the government to hand over the full investigation reports to the families involved. The dossiers had been launched in 2000 to investigate the fate of the kidnapped. The 2000 commission operated for a few months before issuing a "summary report" in which they stated all those who&apos;ve been missing for more than four years should be considered dead. Will parliament ever pass legislation to establish a national commission to investigate those who have disappeared? In 2014, a copy of the commission&apos;s investigative files was handed over to the families of the disappeared, who pointed out that no serious investigation had been executed. Wadad Halwani, head of the Committee of the Families of the Kidnapped and Disappeared in Lebanon, said that the "investigation files showed that the government had not conducted any serious investigation but welcomed the judicial decision affirming the right of families to know the fate of their loved ones." "Despite repeated promises, Lebanese authorities have yet to provide the families of the disappeared with any answers about the fate of their loved ones," said Nadim Houry, deputy Middle East director. 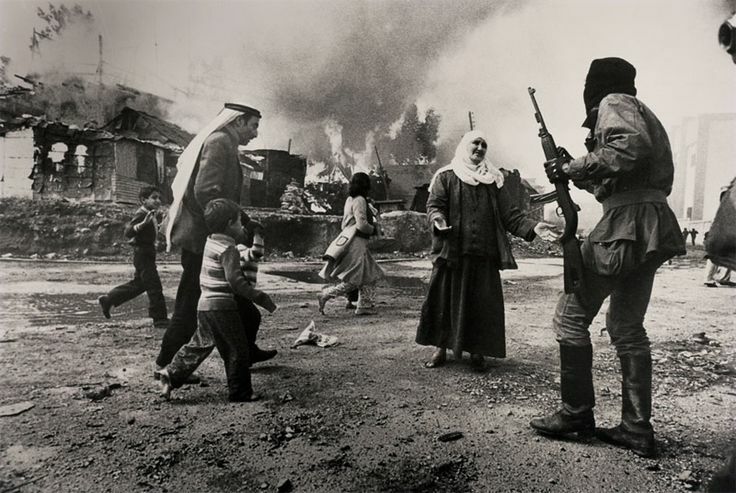 "Lebanon cannot move forward without adequately dealing with its past."